Pairing the standard 2SP student flute with an additional curved headjoint, the Gemeinhardt 2SPCH also features plateau keys, offset G, C footjoint, and durable sterling silver plating. 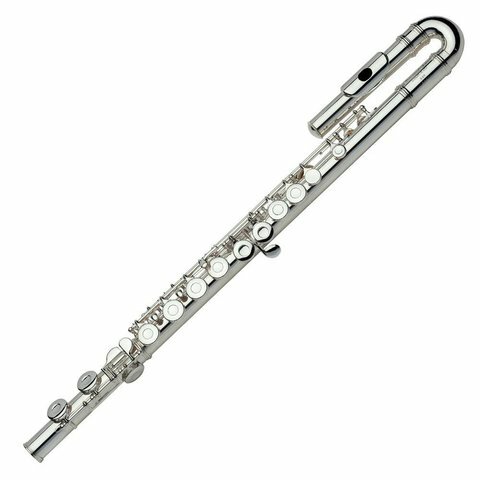 The Gemeinhardt 2SPCH student flute pairs the standard 2SP student model with an additional silver plated curved headjoint. Designed for flutists who cannot comfortable reach the full extension of the flute with the traditional straight headjoint, the 2SPCH is most popular with young flutists. The inclusion of the traditional straight headjoint allows for greater longevity of use. The 2SPCH features the traditional straight and curved J1 headjoints, plateau keys, offset G, C footjoint, and durable sterling silver plating. Comes complete with hard shell case, and cleaning rod.